At the ripe age of sixteen, Lindsey Jordan began showing the indie rock world her superhuman skills. Each song carefully crafted through a Fender, and translated through powerful, whimsical vocals. 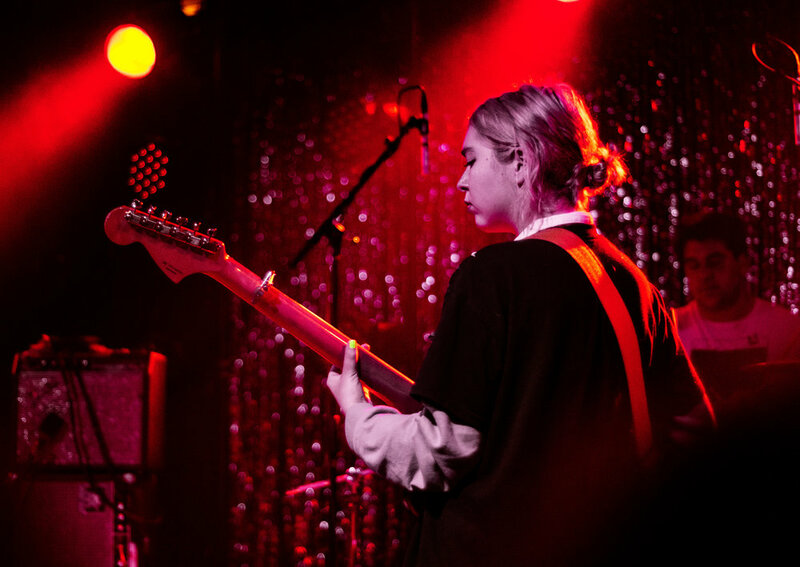 As the lead guitarist and singer-songwriter of Snail Mail, Jordan confronts every moment of adolescent confusion with her head held high, addressing her pain with clarity and wisdom of understanding that surpasses her age. With the release of their first studio album, Lush, in 2018, Snail Mail manages to coast across the trap of teen angst, and find a higher place to confront the state of a heartbroken youth. Lush shows a clear evolution of lyricism and instrumental ability from their first EP, Habit (released in 2016). While tracks featured on Habit have the same commanding presence that make Snail Mail stand apart from other up-and-coming groups, Jordan's voice almost feels lost among the magnitude of instrumentals. Lush demonstrates the bands growth as a whole, giving the breath-taking vocals a place at center stage alongside those electrifying guitar riffs that first grabbed every listener's attention. The space opened up for the dreamy hymns also gave way to an emotional depth the lyrics manage to contain. “And I know myself and I'll never love anyone else / I won't love anyone else / I'll never love anyone else”. Phrases that most would assume would be sung with a melancholic longing, Jordan turns their head as she whips out the words with a confidence no other eighteen-year-old seems capable of containing. “And I hope whoever it is / holds their breath around you / ‘cause I know I did”. She faces the gut-wrenching feeling of seeing a previous love in the arms of another with an unwavering nerve of confidence and acceptance. While Side A gives way for Jordan’s tight guitar work and riff-driven style, Side B is the musical equivalent of deep-set heartache. Opening with “Let’s Find an Out”, the lyrics dive head first into the misfortune of lost love, and the struggle of finding someone to blame for the unbearable heartache (when no one's at fault). The entirety of the album is addressed to an anonymous “you”, giving each listener a way to connect through their own emotional ties of young love. … on the seventh song on the album, “Golden Dream”. As the album comes to a close, it becomes more evident that she is healing herself (and the listener) through each striking chord; breaking out of a depressive slump without destroying the memories of an expired love. However, the album is not only about confronting heartache. Each chorus encourages the listener to demand more of life and love, alongside the young rockstar. Snail Mail crafted the perfect indie-rock album to heal a broken heart; and have your head nodding along the way.